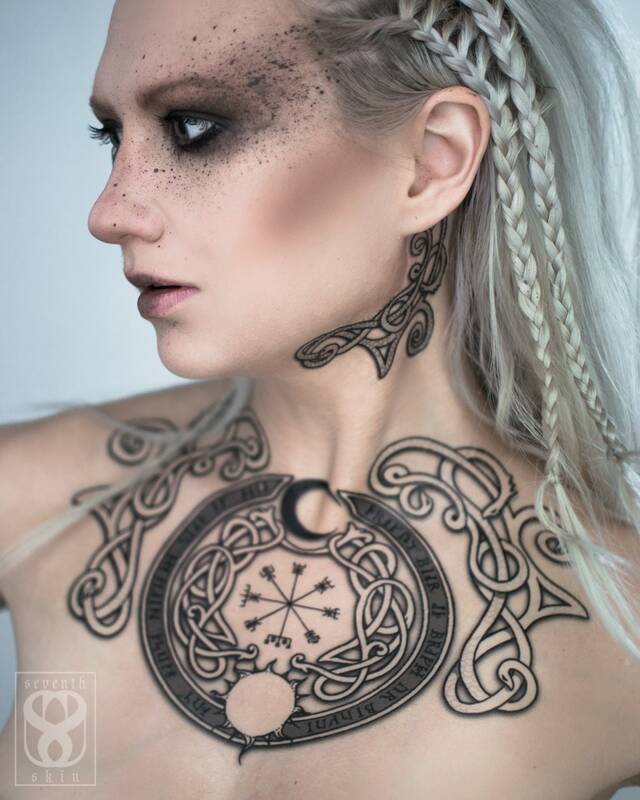 Viking tattoos have been a popular request, so I am especially happy to unveil this set. 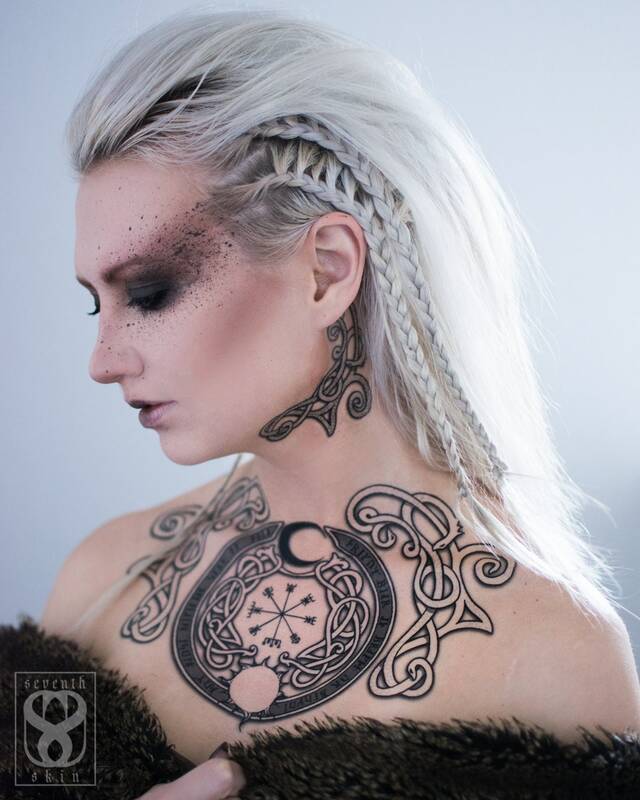 The sun, moon, snake details and runic poetry are all derived from Norse and Viking history and design elements. 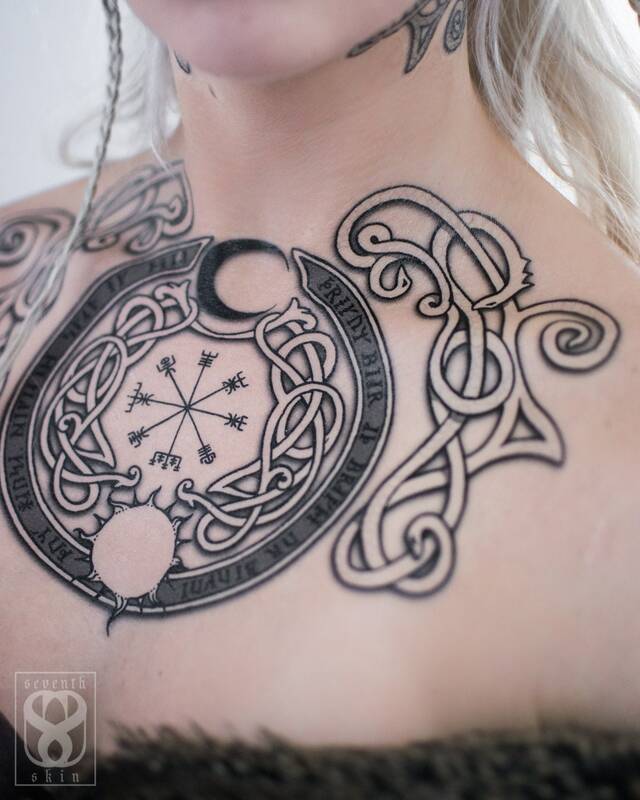 The Vegvísir in the center is an Icelandic compass. 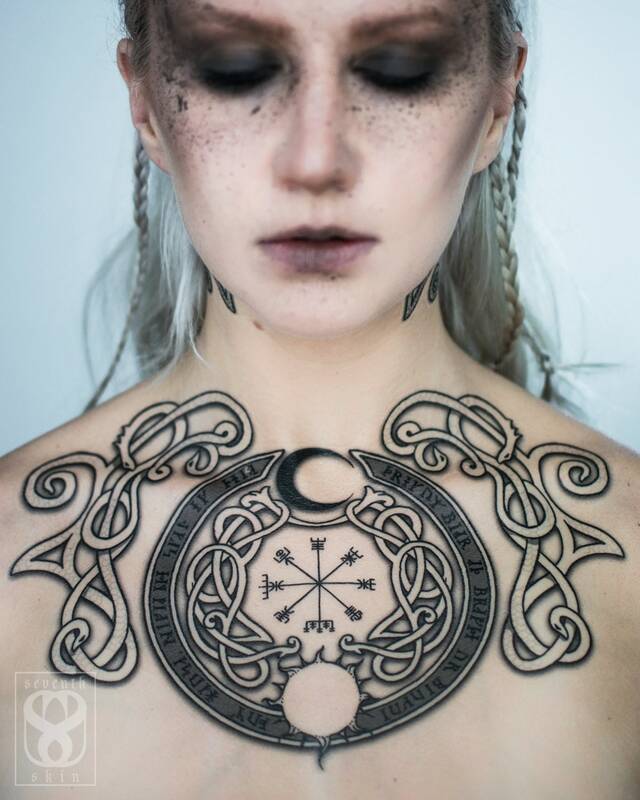 I saw the design everywhere when I visited Reykjavik two years ago, so I was keen on the idea of incorporating it into this chest piece. The chest piece arrives as pictured in a single-application configuration. If you desire, you can easily cut the center medallion out, creating three pieces instead of one. This purchase also includes two snake accessory tattoos, pictured here below the jawline. They would also look great on wrists, hands, or to extend the chest piece to each shoulder. Chest design is approximately 10.5" wide and 7.25" high. Each accessory tattoo is approximately 3.5" by 4."